Add Office pages that appear on your automatically generated Roster Page. 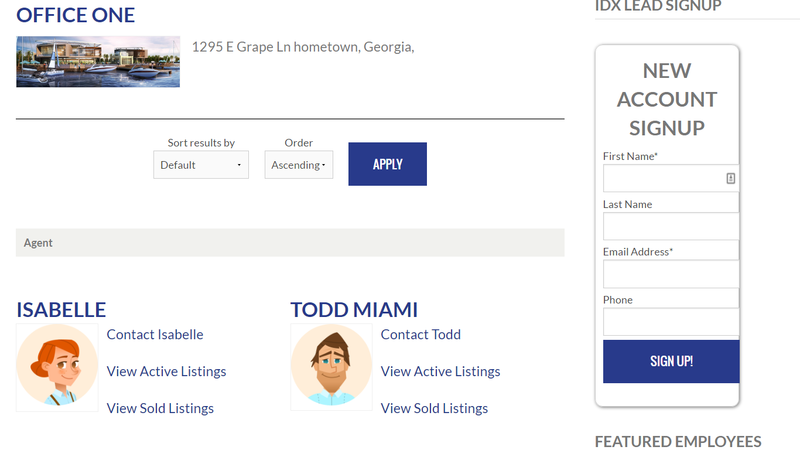 Each Office provides links to Agents' Bio pages, or to each Agent's website. Change the sort order of each Office page. Add a custom subheader, a custom description, and more.